Inside: Learn how role play for preschoolers can completely transform challenging behavior into cooperation and connection. Plus, discover simple ideas for getting started with role-reversal play today. Disclosure: Post contains affiliate links, which means if you make a purchase, at no extra cost to you, I may earn a small commission. A couple years ago I was having coffee with a friend, and she leaned over to me and whispered quietly, as if she was going to reveal a dark secret. It surprised me that she spoke about this like it was a secret because the truth was I didn’t like playing with my kids all that much either. 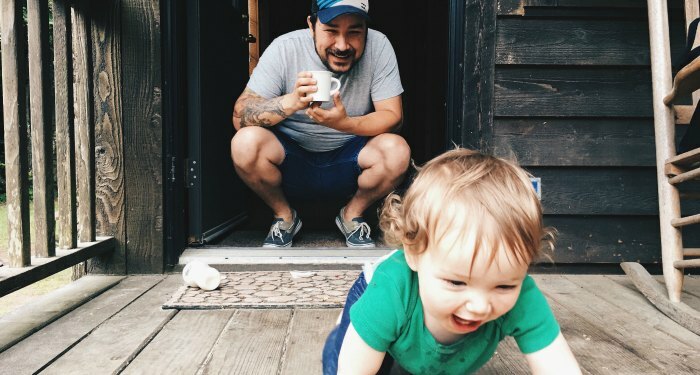 After years of hearing from thousands of other parents, it seems common to me. 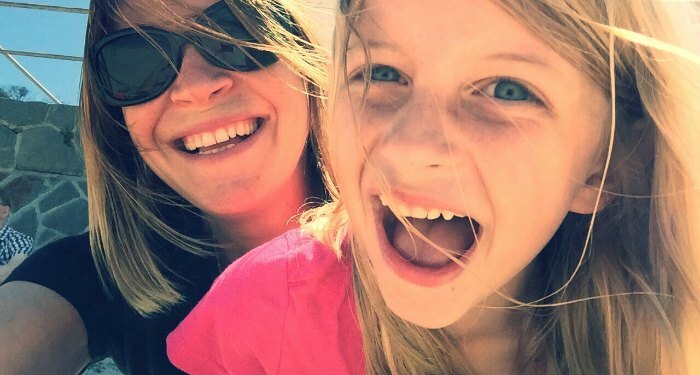 In fact, with heavy screen-time and over-scheduled activities like soccer and gymnastics and summer camp, I’d say parents engaging in role play with kids is somewhat…rare. Today, play is an endangered activity among American children. A 2011 article from the American Journal of Play states that children’s free, unscheduled playtime has been declining steadily over the past half-century. “Since about 1955 … children’s free play has been continually declining, at least partly because adults have exerted ever-increasing control over children’s activities,” says the author Peter Gray, Ph.D., Professor of Psychology at Boston College. While children do need time to play alone and with other children without adult intervention, research also shows that playtime with parents is important. Role play for preschoolers and toddlers is important, not just because children do so much of it, but because there are layers and layers of meaning to even the most casual role play. Here’s a quick example: Recently, my son was struggling with the concept of winning and losing. Every time he lost at something, he’d immediately fall into a temper tantrum. No matter how many times we talked about it, he couldn’t stop crying over losing. It got so bad that he created winning and losing games out of things that weren’t even games. If I went first out the door in the morning, buckled my seat first or finished dinner first, he’d cry and say he’d lost. I didn’t even know we were playing a game! One thing changed everything: Role play for preschoolers. Playing a role reversal game: We took the idea winning and losing and turned it into a role reversal game. In this simple game, he would race me up the stairs and win — every single time. This game put him in the power role, where he could gain confidence and explore the idea of winning and losing, while having fun. Like Dr. Cohen recommended, I followed the giggles. They were a great sign that we were on the right track, helping him work through the challenge of winning and losing. Role reversal play is especially helpful for restoring children’s sense of confidence–escaping from the tower of powerlessness–and for overcoming fears and inhibitions. If you think about what makes children giggle, often it’s when reality is suspended and roles are reversed. These are giggles of liberation as they are freeing themselves from worries, fears and especially feeling powerless over their lives. They laugh and their world is set right again. I could’ve spent hours talking to him about the concept of being a good sport and how to lose with grace and that you can’t win every time. Turns out, he didn’t need any of those talks. All he needed was some role reversal play to make sense of the concept on his own. 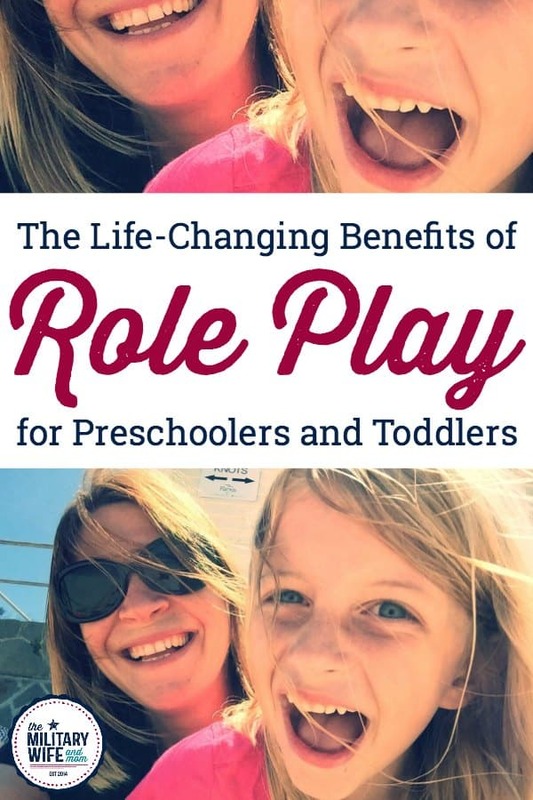 You can use role play for preschoolers in all sorts of situations. In another situation, my daughter hated having her hair brushed. Despite being as gentle as possible, she would cry and try to run away when I attempted to brush her hair. This led to her hair becoming more tangled and knotted up, which led to more tears in future hair-brushing situations. This game was the sunshine in her day. She LOVED this game and begged me to play it over and over again. Why role reversal play works so well. All kids have three basic needs: Power, experience and connection. (This comes from Language of Listening®, the three part parenting framework I use). Power is a BIG one for kids because they feel powerless all. the. time. At the doctor’s office, who gets the shot? In school, who has to sit still and keep quiet? At home, who makes the rules, and who is supposed to follow them? Who has to go to bed at a certain time? Who has to say please and thank you? 1. Kids need LOTS of role reversal play to suspend reality, feel in charge, and take on the power role of hero, teacher, parent or doctor. During role reversal play, kids can re-write the script of reality and fill their need for power. 2. When children feel powerful, they will stop seeking power and control in all sorts of other ways you may not like very much. The back talk, bossing and arguing may very well stop all on its own. 3. There’s another reason role play for preschoolers is so important–so that children won’t need to feel powerful at another child’s expense. When children feel powerful, they don’t need to put other kids down or create situations where another child may feel stupid, incompetent or helpless. A few ideas for getting started. Allow your child to play the power role of doctor, dentist, teacher, parent, store-owner, winner, soccer coach, etc. Encourage your child to direct as much of the play as possible. Use exaggerated and silly noises to bring out laughter. Play dumb and incompetent and allow yourself to look foolish. Allow your child to win and feel victorious to build confidence. Repeatedly playing the game over and over helps your child process and overcome challenges. Follow the giggles. Remember laughter is healing. When your child asks you to play the doctor, teacher, parent, etc., you’ll know they are feeling powerful enough to hand the power role back over to you. If your child directs you to play the doctor, teacher, parent, etc., you can help fill your child’s remaining need for power by fumbling along and playing dumb. (i.e. miss the arm when you give a shot, misplace the answers to the test, or fall down allowing your child to win again). If your child is feeling upset about something or struggling to overcome a challenge, turn it into a game. You’d be amazed at how a little bit of play can transform your child’s behavior. It’s simple enough that anyone can do it. You may even enjoy it. The best part? You don’t have to exhaust yourself with lectures and punishments. Now if you’ll excuse me, I’ll be over in the corner fake crying about getting my hair brushed and losing stair races. My kids will soon burst into incessant laughter. Such great ideas here! I’m going to have to try this with my son. Thank you for the article! Can totally relate to it especially the part about him falling into temper tantrum immediately after losing a “game” that I don’t even know I am playing. Definitely will try out the role reversal play! There is a lot of truth in this article. My son (4 1/2) have been in play therapy for a few months now and it has been so transforming. Our play is mostly based on repeating what he does or says, describing what he is doing, praising him for good behavior, etc. I love this idea and wondering if and how roleplay could be used with my two toddlers to help them share. They are just 2 and nearly 3.5…. They always want the same thing and I often end up saying, “if you’re not going to share we’ll have to put that toy away” and normally I can persuade them to take it in terms but it’s always such a battle! (And sometimes the toy does go away instead). I was wondering whether I could roleplay with my husband us not sharing something? But then the child is not involved in the roleplay so that’s not the same….Any thoughts?